Note: The Tabata interval is 20 seconds of work followed by 10 seconds of rest for 8 intervals. There is a 1:00 minute rest between stations. Keep a running total at each station for total maximum repetitions or calories. This is an incredible stimulus. Advanced Athletes are encouraged to either use Hand Release Push-ups or deficit Push-up on Parallel bars. Last week, Coach presented Lisa Simmons (widow to LAPD SWAT Officer Randy Simmons) a check for $5,000.00 from CrossFit Inc., to support the Randy Simmons Foundation. 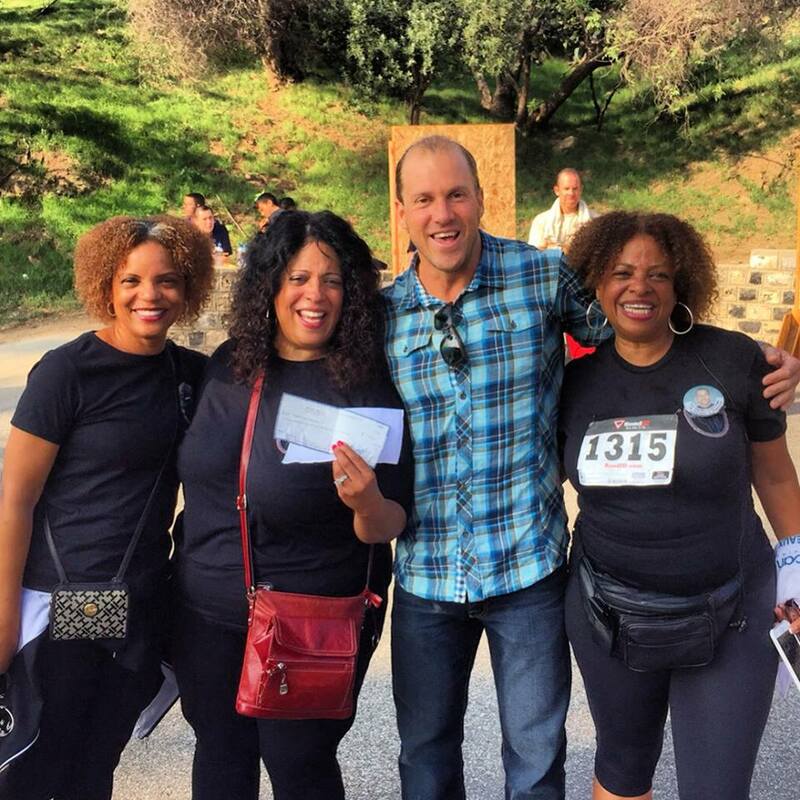 The check was presented during the annual LAPD Randy Simmons Memorial CrossFit Workout and 5K run. Lisa and the Randy Simmons Foundation, along with LAPD SWAT, continue to keep Randy’s legacy alive through their dedication to helping serve and protect at-risk kids. Our LIGHT workout will join our HQ programming today.